I will start with this- many people will not be able to relate to this post regarding the details. The majority of you who do read this post probably won’t “get it”, why these feelings still reside despite our outcome. If you are reading this, I ask that you have an open heart and mind. After you read it, try to think back and ask yourself if you can apply my feelings to a different scenario that has happened to you, and then reflect on that. A sentiment that seems to be lacking in our society. My thought is that people are too caught up in details. If situations aren’t nearly identical, people have a hard relating. But we’re more alike than we think, feelings are feelings. They stem from the heart, they’re not always logical, and many try to reason feelings out of their lives, probably because they are not always comfortable to deal with. In fact, a lot of times feelings are extremely painful and time-consuming to process. The paradox of a human’s inclination to push feelings away when the ramifications of repression are so much worse is an enigma I don’t think I’ll ever understand. A year ago today my water broke. I was 30 weeks pregnant, everything had been going perfectly. Why? Why did this happen? It’s a question I will never know the answer to. This past year has flown by, probably because we’ve been so busy, but no matter how busy I get, the question is always in the back of my mind. It happened at the end of a workday, on a Friday at 5:45 PM. I felt "off" while I was driving home, ignoring my intuition, telling myself not to start anyone’s weekend off with a task of picking me up from work. I got home, told my husband, and took a shower. As I was standing there telling him I thought something was wrong, the evidence quite literally poured out of me. We were stuck in a moment of terror that seemed like an eternity. So many questions raced through my head, which maybe in a clear state of mind, I would have known the answers to, but I couldn’t think of what to do. We stared at each other with faces of uncertainty, knowing one thing for sure, my water was broken. Surely it wasn’t time to go to the hospital; we hadn’t even packed a bag. I fumbled through my phone looking for the doctor’s number, “What did I save it under again?” “What’s my doctor’s name?” It was as if someone had scrambled my brain, and I couldn’t for the life of me figure out the answers to the simplest of questions. Next thing I knew, I somehow had them on the phone and the other end of the line was telling me we needed to get to the hospital. 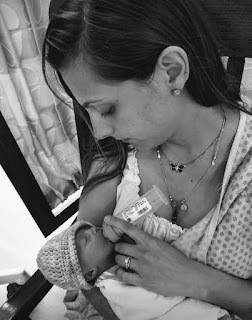 I learned more over the next three weeks of bedrest at the hospital about babies than I had been a mother for 10 years, yet, I felt like I didn’t know anything anymore. 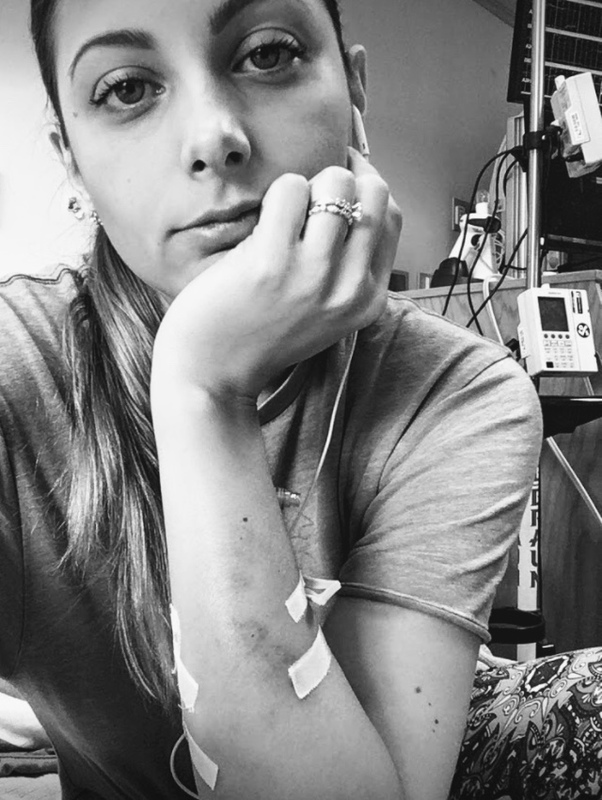 I didn’t understand my body, I didn’t know what the outcome of my birth would be. More so, I felt isolated, and mostly I felt guilty. Guilt for failing my baby. Guilt for not being able to care for my older daughter at home. Guilt for feeling lonely when cards and visitors were pouring in daily. Guilt for my husband staying every single night at the hospital with me. Guilt for his panic attack. Guilt for being entitled and not appreciating the health care I was receiving. Guilt for feeling sadness when so many mothers had lost their sweet babies. 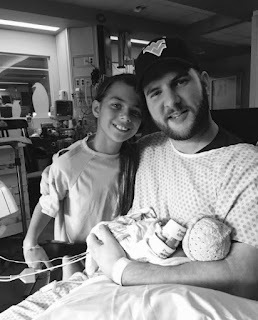 My daughter was born at 33 weeks, pink and screaming, and scored a nine on the APGAR tests. She had a fairly short NICU stay, but I did not get to take her home with me when I was discharged. That car ride home was hell. I left like I couldn’t win. I was going home to be with my older daughter but leaving the other behind. After she came home from the NICU and we were all reunited, I experienced a lot of relief and was able to be happy. It was like my brain had turned off all the negativity and let me live in the moment which I am so very grateful for. It’s been a beautiful year of milestones and celebrating, but I still have guilt and sadness. I still live at the hospital in my mind sometimes. Some days on my drive to work I just cry. Every day I look away driving by the hospital to avoid seeing the window of the room I stayed in. Most of the time I’m very happy, and I am able to take those moments in stride and keep things in perspective. I’ve learned to acknowledge those feelings and move forward with my life, but they are always there and I don’t think they’ll ever leave me completely. This experience has opened my eyes and heart to so much. I experienced such a wide range of emotions over those couple of months that have lead me to be empathetic to many people and situations. Happiness is happiness. Love is love. Despair is despair. Guilt is guilt. Despite different situations, those feelings are real and I have been striving ever since to try and level with people who have felt what I have felt. It’s crazy how validating someone’s feelings can change their outlook in a positive way. So if you’ve stuck with me through this post, thank you for your time. I hope that maybe you can relate to some of the feelings that I’ve shared, and maybe you can attempt to understand someone else’s viewpoint or situation that previously you were not able to in an empathetic light.